The Ohaus Harvard Trip Balance (1550-SD) offers a two-pan design based on the classic Roberval balance principle. Ohaus Harvard Trip balances feature the additional advantages of magnetic damping, beams with sliding weights and a variety of weighing platforms. 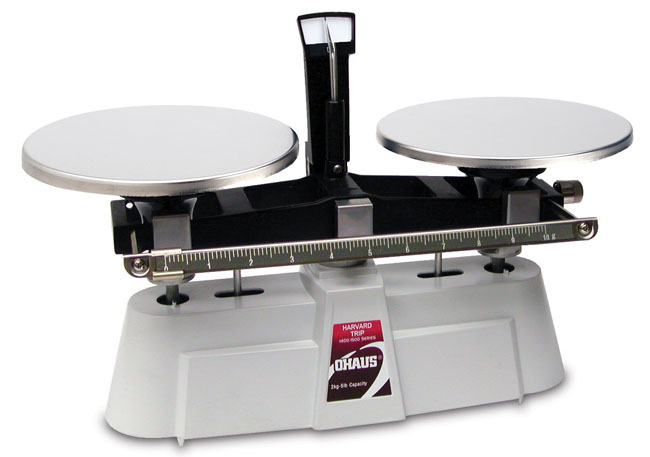 Commonly used for comparative weighing to determine the difference in mass between two objects, rather than their absolute value, these balances come equipped with built-in sliding masses. Harvard Trip balances are known for their accuracy and durability - constructed and precision-engineered for years of maintenance-free laboratory use.